Fidelity failed to stop a woman posing as a Fidelity broker from stealing more than $1 million from nine customers, FINRA says. 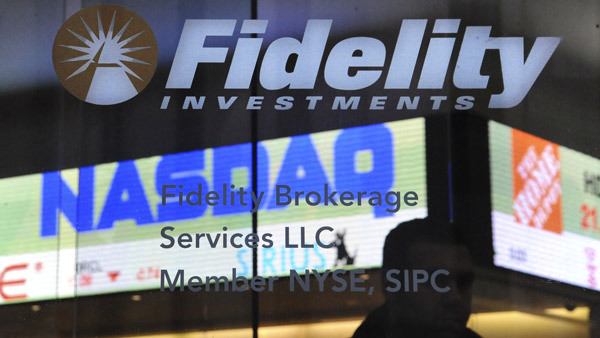 The Financial Industry Regulatory Authority has fined Fidelity Brokerage Services $500,000 and ordered the firm to pay nearly $530,000 in restitution for failing to detect or prevent the theft of more than $1 million from nine of its customers – eight of whom were senior citizens. According to FINRA, Lisa Lewis posed as a Fidelity broker, obtained her victims’ personal information, and systematically stole customer assets through numerous transfers and debit-card transactions. From August 2006 until her fraud was discovered in May 2013, Lewis was running a conversion scheme by targeting former customers from another brokerage firm from which she had been fired, FINRA says. Lewis told the investors she was a Fidelity broker and urged them to establish accounts at the firm and also established joint accounts with the investors, in which she was listed as an owner. FINRA says Lewis eventually established more than 50 accounts and converted assets from a number of these accounts for her own benefit. In June 2014, Lewis pleaded guilty to wire fraud, was sentenced to 15 years in prison and was ordered to pay more than $2 million in restitution to investors. FINRA found that Fidelity failed to detect or adequately follow up on multiple “red flags” related to Lewis’ scheme. “For example, though Lewis’ victims were unrelated to one another, their various accounts shared a number of common identifiers tying them all to Lewis, such as a common email address, physical address or phone number,” FINRA says. According to FINRA, Fidelity’s inadequate supervisory systems and procedures contributed to the failure to detect and prevent Lewis’s fraudulent activities. Though Fidelity maintained a report designed to identify common email addresses shared across multiple accounts, it failed to implement procedures regarding the report’s use and dedicate adequate resources to the review and investigation of the reports, FINRA says. As a result, there was a backlog in reviewing thousands of reports, including a report in March 2012 showing that Lewis’ email address was associated with dozens of otherwise unrelated accounts. The report was not reviewed by anyone at Fidelity until April 2013, more than a year after it was generated. Protecting senior investors remains a core part of FINRA’s mission, says Brad Bennett, executive vice president and chief of enforcement for FINRA. “This case is a reminder to firms to ensure their supervisory systems and procedures are designed to protect senior investors from harm and to adequately follow-up on red flags to detect potential fraudulent account activity,” Bennett said in a statement. In settling this matter, Fidelity neither admitted nor denied the charges but consented to the entry of FINRA’s findings. Fidelity’s spokesman said Fidelity has taken new measures that are aimed at identifying and preventing precisely the type of fraud Lewis committed, according to the spokesman. These new measures include additional surveillance of disbursements from accounts. Fidelity says it has enhanced monitoring of certain account distributions, which was already in development during the period when Lewis was committing her fraud. It also has implemented elder financial exploitation surveillance, which monitors various types of money movement in accounts owned by senior investors. Fidelity has also further enhanced its employee awareness and training about issues that can affect senior investors, including elder financial exploitation.